Michael Kors is a name with which many are familiar because of the fashion designer's popularity. One thing Google has made clear with Android Wear is that it wants wrist wearables on the search engine giant's smartwatch platform to be both functional and fashionable, with all Android Wear smartwatches (the exception being the Moto 360 Sport) launching with genuine leather and metal wristbands that bring a premium feel. 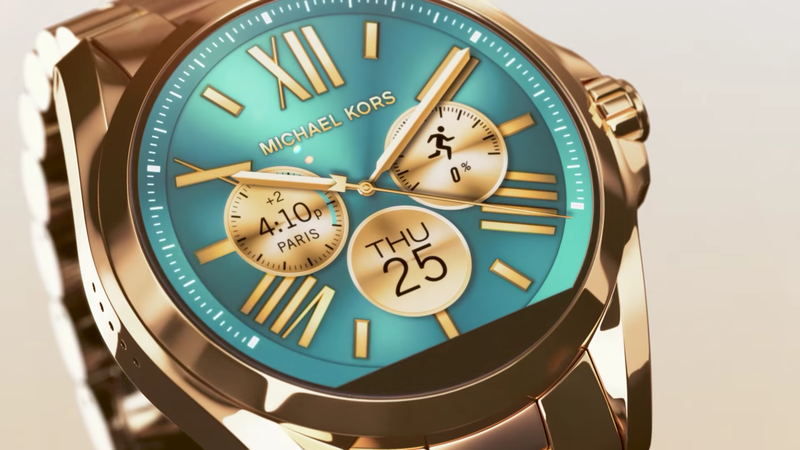 Michael Kors has decided to bring his own smartwatch over to Android Wear. The Michael Kors Access smartwatch has specs and features that we can't tell you about at the moment because Michael Kors himself hasn't stated what they are. In his YouTube video on the new Android Wear-powered smartwatch, it simply shows some women who are riding out on the town in fashion and style (as evidenced by their shades and the car they're riding in). We do see the women holding and using an iPhone, and Michael Kors was sure to let us know that fashionable people also use the iPhone (which is weird when you consider that Kors is using Google's Android Wear platform; surely, rich, famous, and cool people use high-end Android smartphones too, such as the Samsung Galaxy S7 edge). But, I digress. While we don't know the specs, we surely know the price. Kors says that the Michael Kors Access smartwatch will set you back $395, which puts it [slightly above Fossil's Q Founder] and right up there with the [$400 Huawei Watch]3 within the platform. 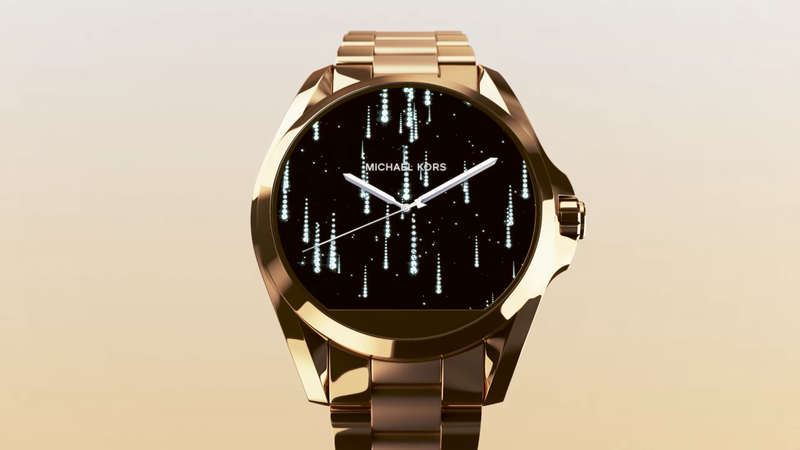 Unfortunately, the Michael Kors Access smartwatch isn't that much more well-designed than the Moto 360 (if you count the blingy diamonds for the ladies model) because it still has the "sensor-packed" flat tire at the display bottom that we've seen before with both Motorola and Fossil's offerings. With the same specs and features (we presume) and functionality (Android Wear is compatible with iOS, as we continue to state), Michael Kors is hoping that his name and brand will sell far better than Huawei and Fossil.